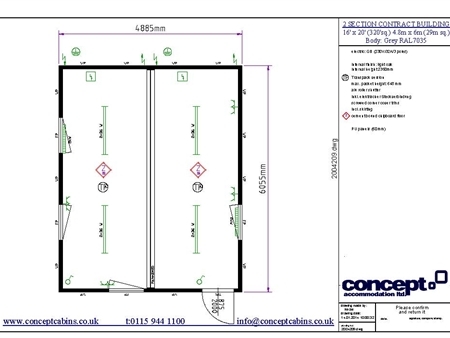 2 Section 4.8m x 6m (16' x 20') Open Plan CONTRACT Modular Building, finished in light grey externally. Constructed with a solid steel frame, steel roof & floor joists and composite steel PU wall & ceiling panels. This building has 1 door & 4 UPVC tilt & turn double glazed windows with integrated internally operated powder coated aluminium roller shutters. 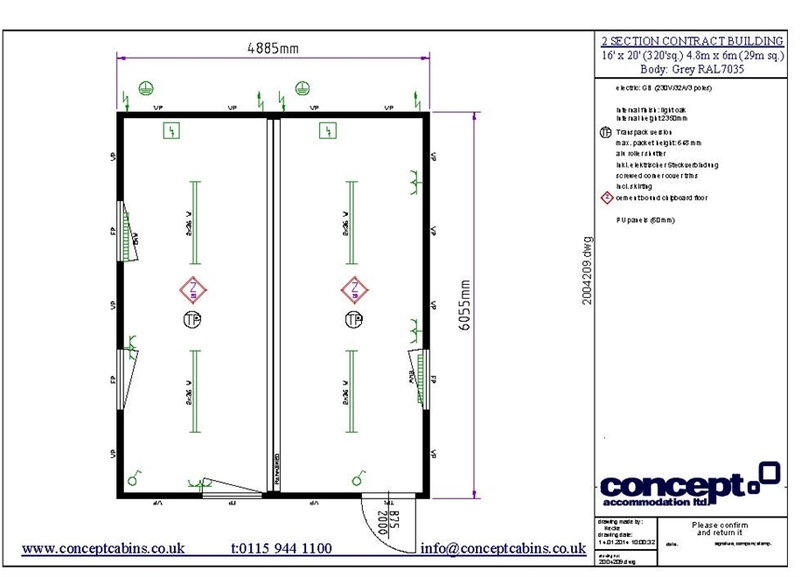 Full heating, lighting, twin sockets, mains fuse boards & grey vinyl flooring. THIS IS AN EXAMPLE OF ONE OF OUR STOCK BUILDINGS, THE DOORS & WINDOWS AND CAN BE CONFIGURED TO SUIT YOUR SPECIFIC LAYOUT, PLEASE CALL!